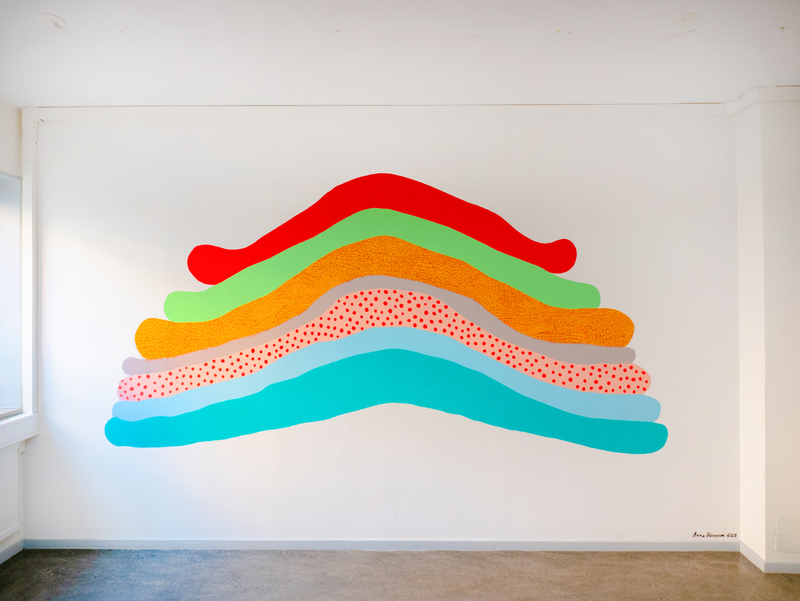 The wall is 2,33 m x 4,10 m, painted with acrylic wall paint, 2018. 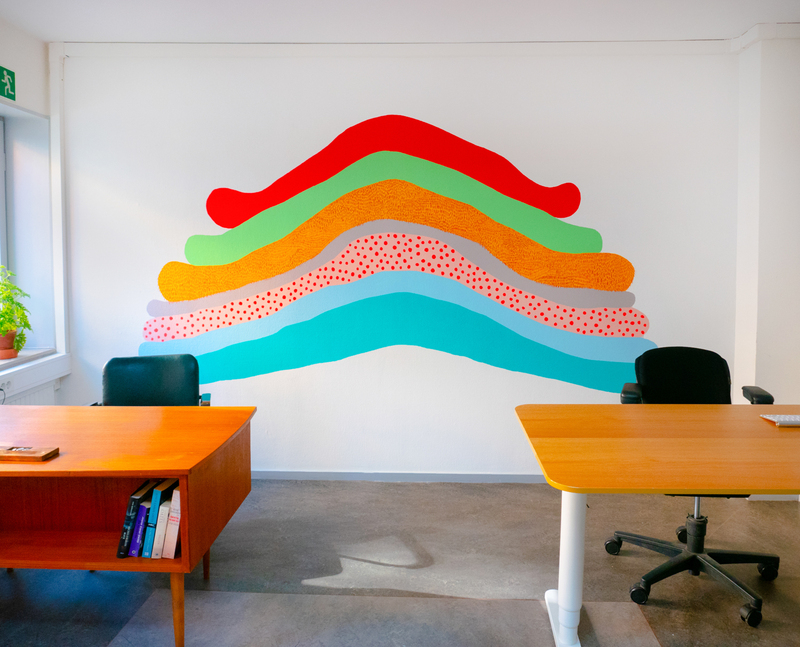 My first mural painting in Mantaray Films’s Producers Office has been great summer project. 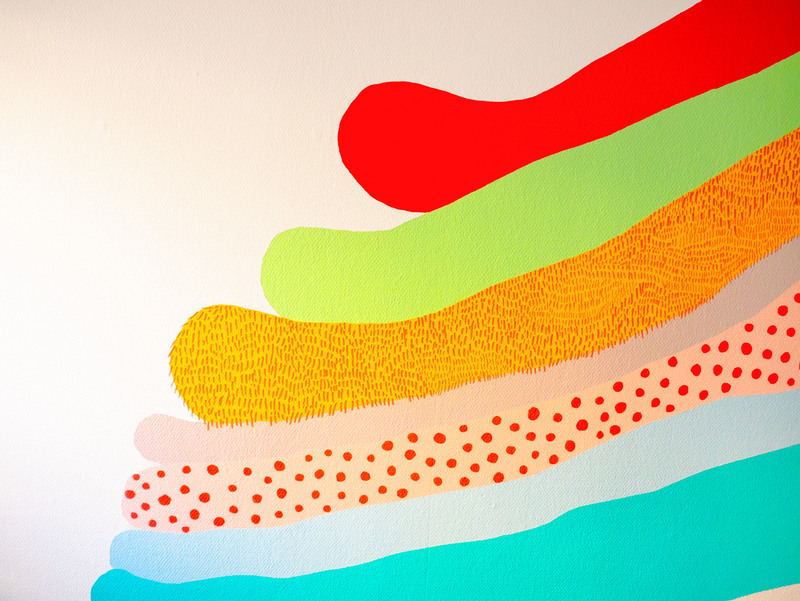 I love working straight on the wall and create site specific works. 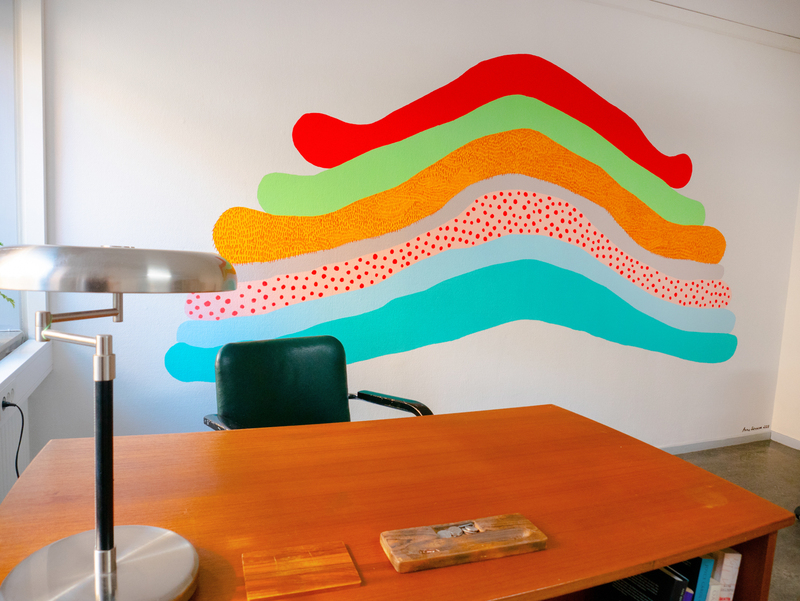 Ever since I worked for Pat Steir, assisting her wall painting installations at Sue Scott gallery, and Anthony Sansotta, artist, director of the Sol LeWitt Estate and long-time assistant to LeWitt, I have wanted to create my own site specific paintings. 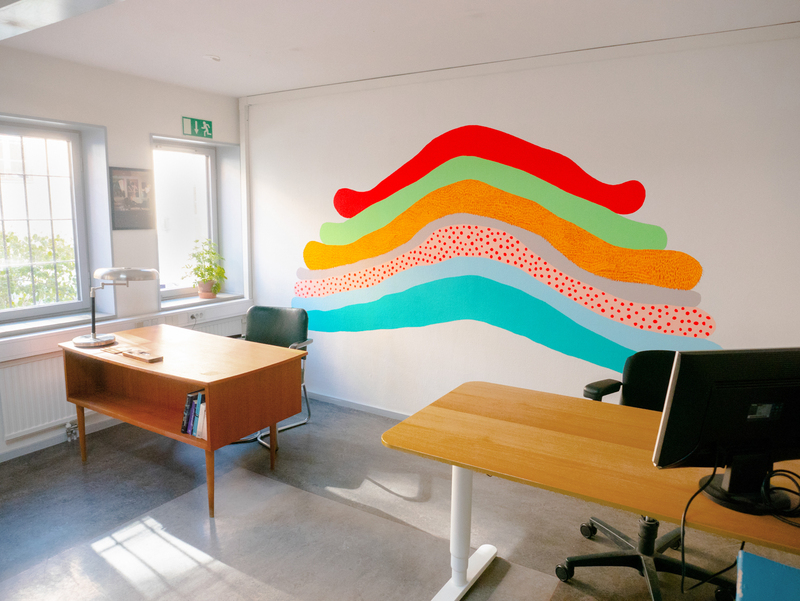 Because it brings the painting into a milieu, it makes the work less of an object and more a part of the everyday environment, something more approachable and direct. Detta inlägg postades i Uncategorized den juli 30, 2018 av anna.